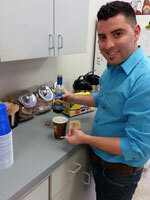 Juan is one of the top customer service reps here at ReStockIt. He works diligently to ensure that all of our customer's questions and concerns are properly addressed. 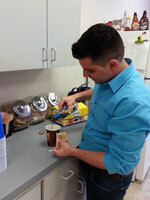 He is also our resident Barista and enjoys making coffee for his coworkers. Juan knows that having the right supplies to get you through the day is important and makes it a priority to see to it that our customers never go without the things they need most.